There’s almost no corner of the United States where you can’t find a burrito. It’s perhaps the most recognizable staple of Mexican-American cuisine. 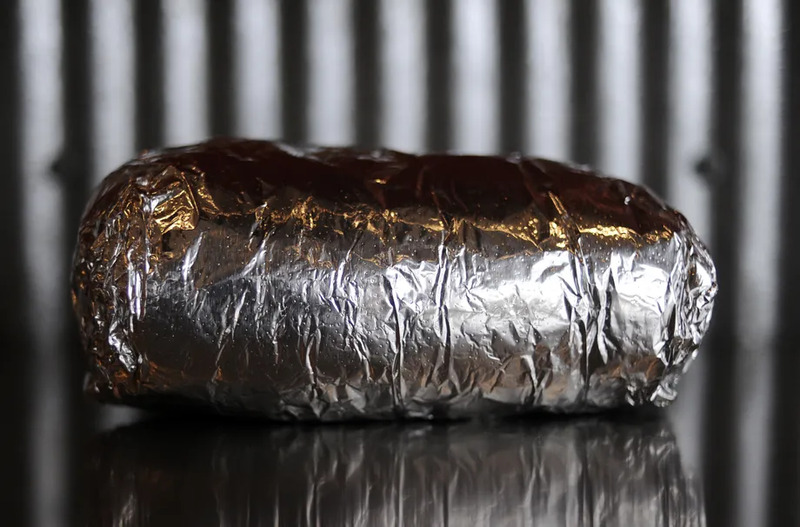 Chipotle’s runaway success was founded on the burrito. That makes it even stranger that the burrito was one of the last Mexican foods to catch on in the United States. So how did the burrito gain such widespread popularity in the first place? I asked Gustavo Arellano, author of Taco USA: How Mexican Food Conquered America and renowned expert in burrito data-science circles. His book is a rollicking tour through the unique hybrid cuisine we call “Mexican food,” from bar-food tamales to grocery store salsa. Our conversation, however, focused on the modern titan of the genre: the big, bold, beautiful burrito. These are the key moments that helped it take hold. 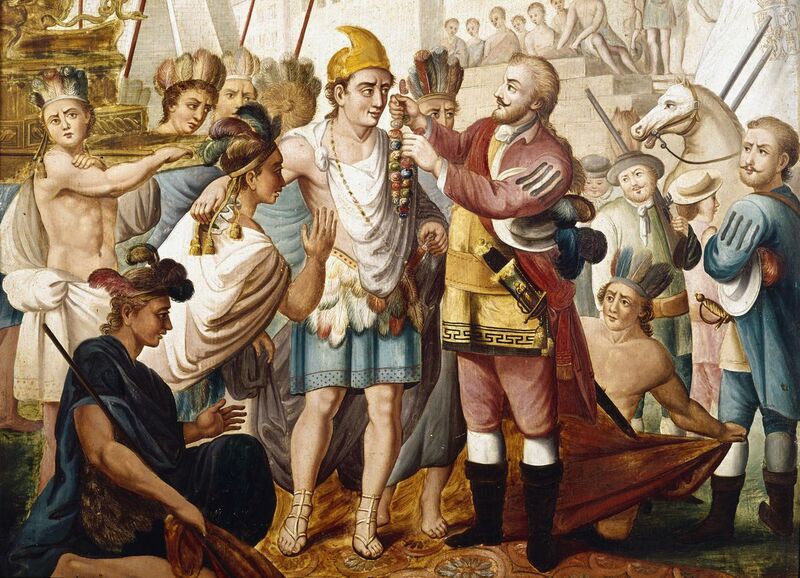 An illustration of the meeting between Moctezuma II and Hernan Cortes. Presumably, this depicts a time before the violent imprisonment and requests for Aztec food. Centuries before the burrito was invented, the Aztec tortilla entranced the Spanish conquistadors who invaded what is now Mexico. When Hernan Cortes conquered Moctezuma II’s kingdom, records show he insisted that his men be supplied with native food as a term of surrender. At the time, Aztec cuisine centered on the tortilla and the tamale — a cornmeal shell stuffed with food, then steamed — which had some of the portability of the burrito. It kept for a long time and tasted good. The Spanish, for their part, quickly added beef, chicken, cheese, and other foods to the Mexican diet. They also waged a longstanding campaign to convert Aztecs to a wheat-based diet instead of corn, though that didn’t last long. All these cross-cultural interactions eventually paved the way for the modern-day burrito. 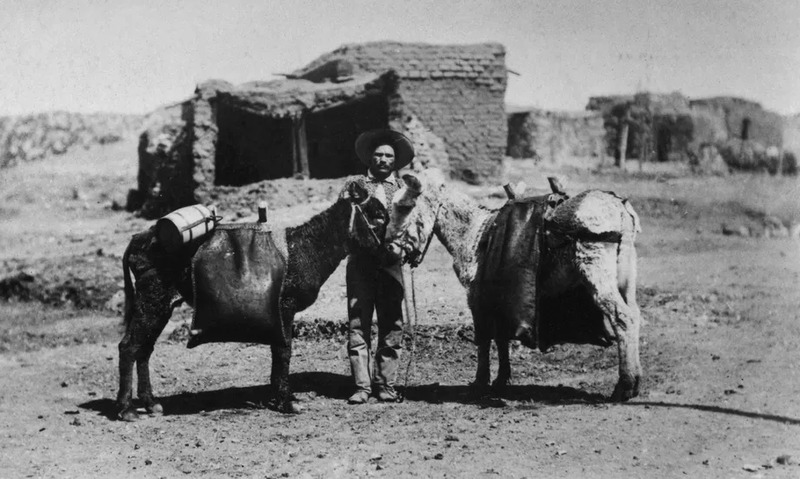 A Mexican man with burros in 1910. Some theories place the invention of the burrito around this time. One theory holds that people from Sonora (a northwestern Mexican state) invented the burrito because it was easy to travel with. The name “burrito” may have come about from its role as a sidekick to the donkey. Another theory holds that the burrito came from Chihuahua, during the Mexican revolution in the 1910s. As one story has it, a vendor named Juan Méndez wrapped his food in a flour tortilla, transporting his new creation on a small donkey. Alternatively, the name may have originated in Ciudad Juárez in the 1940s, when a street vendor portioned food to serve schoolchildren. He derogatorily called the kids “burritos,” meaning they were dimwitted. Arellano finds the Sonora origin story most credible. “That’s the wheat-growing region in Mexico,” he says, “and a lot of the Spanish settlers stuck with wheat, so they made flour tortillas.” Early burritos were usually filled with leftovers, often just rice and beans, and probably looked different from the overstuffed ones we recognize today. 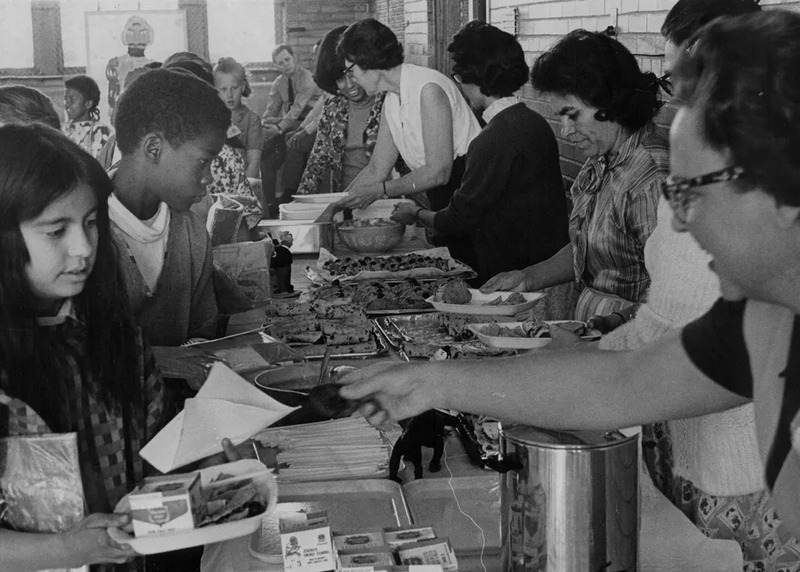 In 1970, some fifth-graders go through a burrito line. Mexican food earned wide adoption from the ’50s through the ’70s. In the 20th century, the taco came to the United States first, in part because many of the first Mexican immigrants hailed from central Mexico, where corn tortillas were used. But in the 1950s, the burrito began making its way northward, too. Early burritos may have first appeared in the United States due to braceros, migrant workers in the 1940s through the ’60s. Many of their bosses gave them burritos for lunch, because they were easy to make and pack. But while many braceros — particularly those from Central Mexico — were ambivalent about the dish, Americans quickly learned to love it. It was easy for Americans to embrace the burrito because they had no preexisting ideas about Mexican food (they had no opinions, for instance, on whether a flour tortilla was inferior to a corn tortilla). They just knew what tasted good. Mexican food quickly found a home in Southern California and, in doing so, it had a channel to influencers and tastemakers in the culture at large. Southern Californian Richard Nixon, for example, brought tacos to the White House and even traveled to get Mexican food in Tijuana after the 1960 election. Eventually, the burrito became a recognizable Southern California specialty and led to innovation in the grocery aisle. 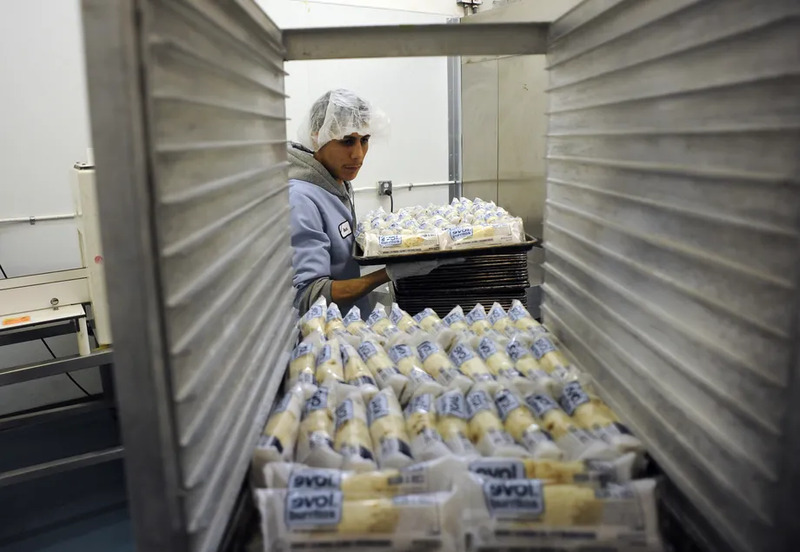 A worker packs frozen burritos in 2010. They helped the burrito spread around the world. The burrito next had to make the leap from Southern California to the rest of the country — and technology played a crucial role. This innovation helped burritos spread to all sorts of unexpected outlets. “The frozen burrito was a pioneer because it was a way for Mexican food to infiltrate schools,” Arellano says. “Kids love Mexican food.” In places where consumers didn’t have Mexican restaurants, or where they didn’t want to visit them, the grocery shelves provided new tastes. That undoubtedly helped popularize the burrito, too. 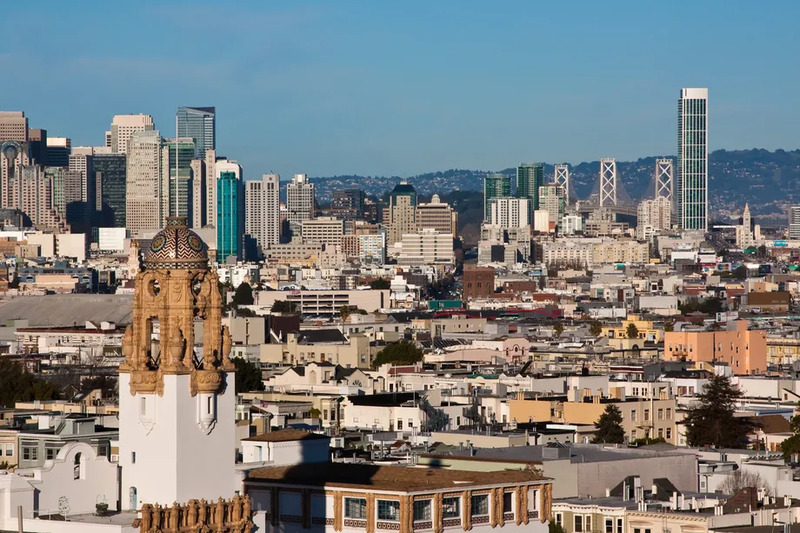 A view of San Francisco taken from the Mission, where the Mission burrito was born. The burritos that became a hit in the 1950s were fairly basic, but they gave way to the monster burritos we love today. Arellano tells the story of the Southern Californian kosher burrito — a tortilla stuffed with pastrami — and the 1970s hit Oki Dog, a tortilla that managed to hold hot dogs, chili, cheddar cheese, pastrami, and grilled onions. These experiments never became national hits, but they did show there was room for burrito innovation. The Chipotle Mission burrito: so big it might eat you. One of those Midwesterners who wandered into the Mission was Steve Ells, who would later become the founder of Chipotle Mexican Grill. “No one had really codified the burrito for a national audience the way Ells did,” Arellano says. The Chipotle founder told Arellano that the Mission burrito, packed with food and wrapped in portable aluminum foil, had instant appeal. In addition to the food, the assembly-line model of the Mission burrito seemed perfect for export, so Ells brought it to his home in Colorado, opening the first Chipotle in 1993 near the University of Denver. Ells had originally planned to build an upscale restaurant, but the success of the burrito made him change his mind. Chipotle has since grown to more than 1,700 locations and exported the Mission burrito around the world. That success has made the Mission burrito the first that many Americans encounter. That evolution is how the burrito took over, and how it will probably stay on top.